The opera takes place inside a biology lab. 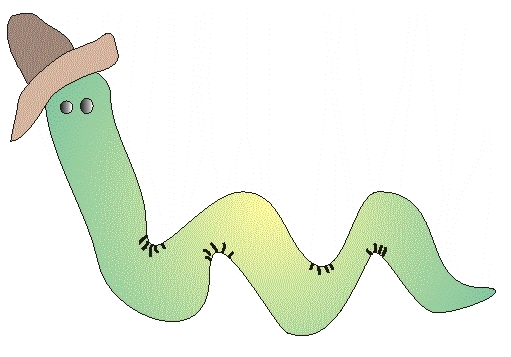 Fred, a scientist, is studying nematodes (small worms), and finds one of them, which he names Jezebel, especially attractive. Tim, another scientist, has a wife who does not love him, and is in denial. Tracy, a lab assistant, has her eye on Fred, who hasn’t noticed. Clarence, a night watchman, has his eye on Brunhilde, the cleaning lady, who only wishes he would go away. Fred suggests that Tim try an old trick: put a piece of thread on his shoulder and see if his wife picks it off; if so, it means she loves him. Tim exits, and Fred sings in praise of Jezebel. Tracy enters. He tells her to look into the microscope, but she sees only worms. He shows her a machine he has built, the Love Machine, which is designed to make the worms reproduce more quickly to speed up his research. F: In here! (looks in) Oh! Gorgeous! Tr: In there, huh? (looks in microscope) Oh. Worms. Tr: The word, I believe, is “slimily”. F: … Microscopic beauty mine. Here, look again. F: (looking in microscope) Look! That’s my favorite. Right there. Tr: (looking) Which one? They all look alike. F: Third one on the right. Um, wait. (looks) Oh, no. Now she’s the second one. Tr: How long have you been staring at them, Fred? Tr: Except they don’t live that long. Tr: Love!? Don’t try to tell me you’re in love with a worm! F: Not just any worm! There. The second one on the right. (looks) Oh, now she’s in the center. Tr: Fred, are you getting enough sleep? F: Sometimes I sleep right here, next to her. Tr: Fred, you are supposed to be getting some data. How is your experiment coming? F: It’s slow. We have to examine several generations, track the DNA changes, and they don’t reproduce so fast. Tr: So it’s a long project? F: I call it the love machine. You turn it on, point it at the dish here, and they start making baby worms immediately. Tr: What an invention! Does it work? F: Haven’t tried it yet. Just finished it this morning. Tr: Will it work on … mice? F: Don’t know. You might need a bigger one. Tr: Fred, do you always have dinner alone? Tracy is worried about Fred, who she realizes is in love with the worm. She storms out in disgust. Brunhilde overhears her complaining about the nematode, but misunderstands and thinks Fred is in love with a toad. Clarence enters, and his attentions are rudely dismissed by Brunhilde. When she accidentally turns the machine on and enters the beam, however, she and Clarence waste no time in finding the cot in the corner. Fred enters the next morning, finds the machine still running, and turns it off. His nematodes now number in the millions, under the influence of the Love Machine. Tracy enters, wearing a long white tube, like a worm. She wiggles seductively across the stage. Tr: (as seductively as possible) Oh, Fred. F: Jezebel! What happened? I never intended! Really! (digs out plans for machine, studies carefully) Maybe the voltage was too high here. Yes! Right here! Jezebel, I never meant, I mean, I didn’t intend to mean, I meant, I mean, I really didn’t …. Jezebel, can you forgive me? F: I know it’s you. I can tell by the wiggle. But … you’ve grown! And all because of (pats machine) my machine! Oh, Jezebel! I must patent it immediately. Nobody would ever be lonely again. Tr: Are you lonely, Fred? F: All the time. But now I’ve found you, microscopic beauty mine. Only you’re not so microscopic anymore. But wait! (looks in microscope) All those babies! Jezebel! Have you been unfaithful? Tr: Let me see. (looks in microscope) Good Heavens! F: That’s what I said. Tr: Well, you’ve got a harem now! How many are there? F: I don’t know. Thousands? Millions? Tr: And I suppose you love every last wiggly, slimy one of them? F: Of course not! Do you think I’m crazy? Tr: Shall I answer that? Tr: Well! You are more fussy than I gave you credit for. F: Of course, I still have feelings for them. Just not as intense. Tr: Be honest. Do you love them too? F: Well, some of them, certainly. Maybe most of them. In fact …. F: You won’t tell, will you? T: I don’t think there’s hope. Last night I asked Millie if she loved me, and she called me a scurrilous scoundrel, a sanctimonious selfish simpleton, a domineering deviant with doleful delusions of depravity, a duplicitous degenerate, a foul failure with fanatical fantasies, a putrid, pusillanimous, perpetually paranoid and pompous preposterous pestilential person! So I’m not sure she loves me. F: Well, women have those moods. T: And then she said no. F: Well, that’s more serious. Dr. Libido overhears, and suggests he talk with Tim’s wife alone, Fred overhears and concludes that the doctor is jilting him. Then Brunhilde sees the Love Machine and runs over to turn it on. Fred tries to intervene, but everyone crashes into everyone else and the machine winds up on the floor along with the worms and the toad, which immediately eats the worms. Picking up the mess, Fred is exposed by the Love Machine, and asks Tim if he can ask his wife for a date. Tr: Fred, how do you feel, now that Jezebel has been eaten? Could you stand a new love? Endure a touch that’s meant for you alone? Would it be too much for you to bear? Of prospects lost consume you in despair? Can you take this moment? All too few, you’ll find. Of love not often tendered. Fred is captured by her singing, and they exit holding hands. Meanwhile, Brunhilde is trying to catch the toad and accidentally turns the machine on yet again. It exposes Dr. Libido, who then finds the toad irresistible.